As the Christmas holidays are almost over I have been scouring Pinterest and some of my favourite blogs for winter art inspiration. 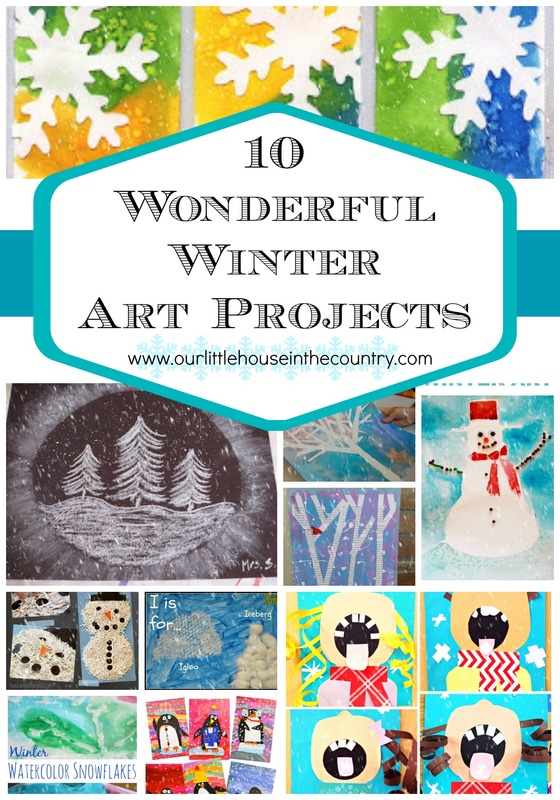 I have lots of fun projects planned for me and the kids over the next few weeks which I cant wait to share with you but these beautiful ideas are sure to encourage you to try some winter art with your children. Snowflake Art Trading Cards: I found this gorgeous activity as well as a number of other great ideas on Squarehead Teachers. These are made using watercolor and salt! I really love the effect. Birch Winter Tree: How Wee Learn is an amazing blog full of wonderful ideas and activities. 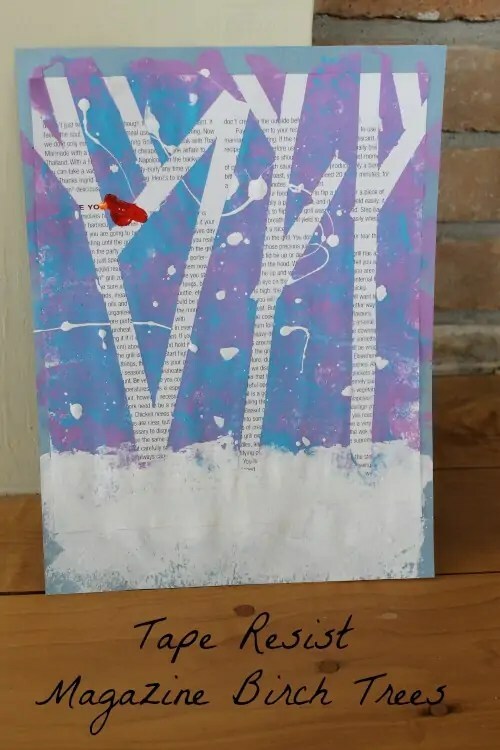 This is a particular favourite of mine – using magazine pages to create tape resist winter trees – I have never considered using a magazine page as my “canvas” before – super idea and so creative. Happy Penguins: Theres something so cheerful and fun about penguins, maybe I’ve been watching Happy Feet and Madagascar too often!!!! This project from Deep Space Sparkle would brighten up any wintery day! I love these colourful little guys especially as a number of techniques have been combined to create them! Winter Tree Silhouette: Valerie from Inner Child Fun never fails to provide endless creative inspiration fro kids’ activities. These stunning silhouettes are simply created using only masking tape and watercolours but they are so beautiful. 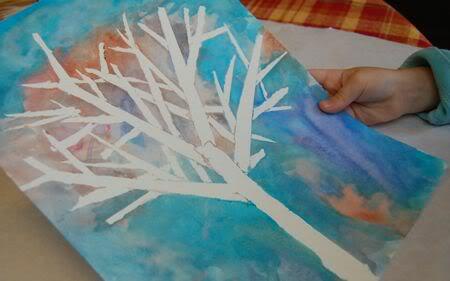 Snowy Trees: I have done similar projects with my students over the years. This is a fantastic step by step tutorial from Art with Mrs. Smith showing you how to create stunning winter tree scenes with chalk and black paper. 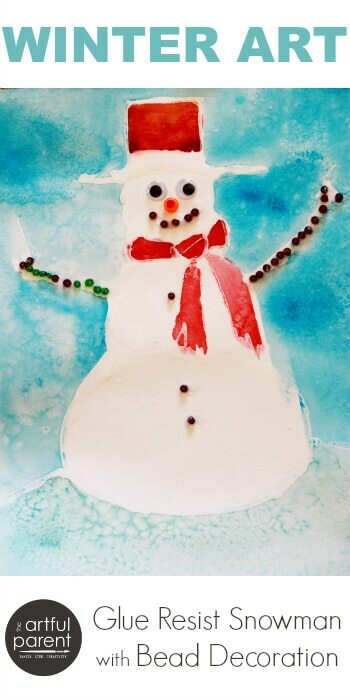 Glue-resist Snowmen: It wouldn’t be winter without a snowman! I love glue-resist projects and we will definitely be trying this one from The Artful Parent out. The combination of glue, watercolours and glittery sparkles creates a truly wonderful effect. 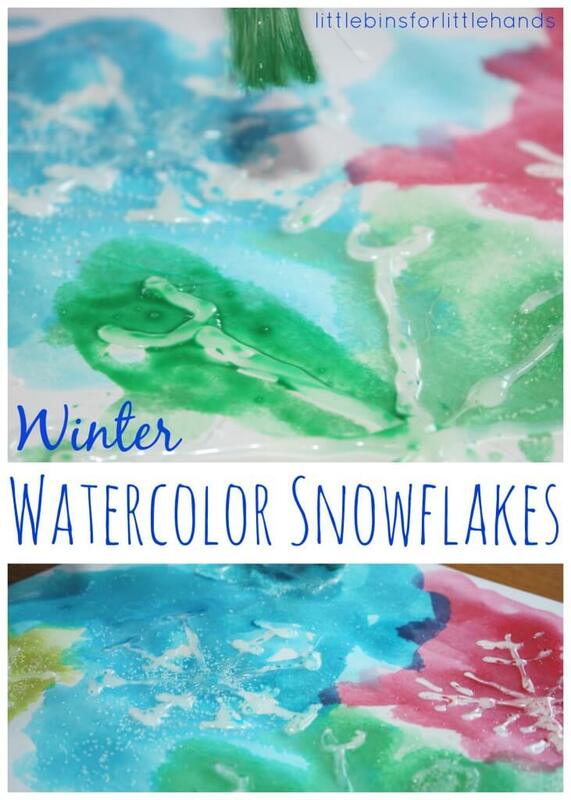 Watercolour Snowflakes: If you haven’t come across Little Bins For Little Hands yet, then I strongly recommend that you head over there for a look around, you will find tonnes of fantastic activities for children, many with a particular sensory focus. These snowflakes made using a hot glue gun, paint and salt are absolutely gorgeous. Shredded Paper Snowman: I love the texture of this snowman. A great use of shredded paper from Housing a Forest. I think we’ll have to try this one out too! I is for igloo, bubble wrap printing: Multicraftingmummy is always coming up with fantastic ways to use bubble wrap in her art work and these igloos are fab plus it’s a great way to work on letter sounds! Children Catching Snowflakes: Another “must-read” blog is Crafty Morning. You’ll find a craft for every occasion and season and theme there. 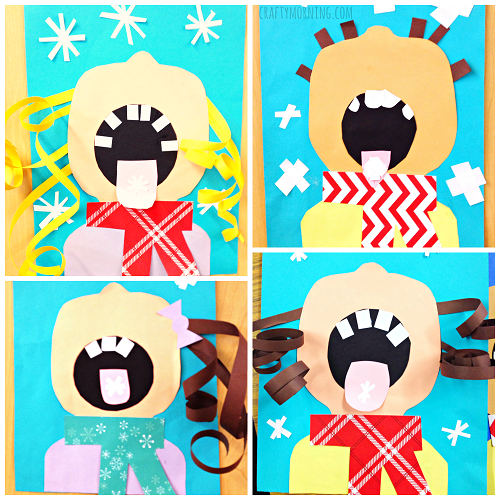 Michelle features this winter collage craft from Sailing Into Second on her blog and it looks like a lot of fun! I don’t know about you but I have definitely been inspired to get started with some winter art projects! 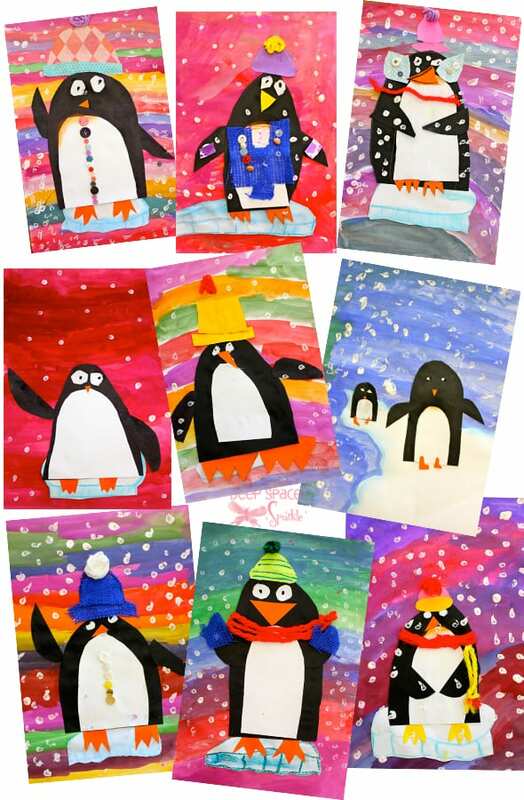 Let us know what you have been up to lately and if you have a winter craft or art project that you would like to share please pop over to Facebook and leave a link to your post or upload a photo! what a great roundup! Can’t wait to try those shredded paper snowmen. Pinning! I LOVE number 5, Wintry Trees simply beautiful! Pinning to use for these long winter days!